If you are new to Salesforce, you’ve got to take a closer look at the Salesforce AppExchange. The AppExchange is a public directory of pre-integrated apps, components, and other products built to extend the functionality of Salesforce. Some of these apps have been built by Salesforce developers, but most are created by third-party independent software vendors (ISVs) using Salesforce’s cloud computing technology called Lightning Platform. All apps listed on the AppExchange are available to Salesforce users on-demand for free or on a subscription basis. Nearly 90% of Salesforce customers — SMB and enterprises businesses — are taking advantage of the AppExchange marketplace. 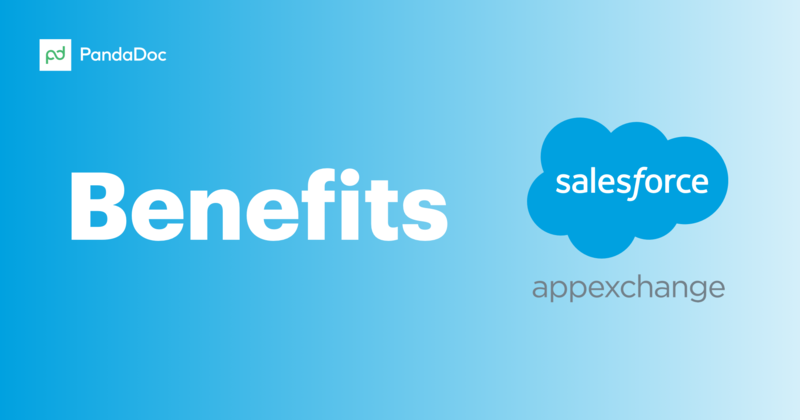 The AppExchange has thousands of apps and components for every business need, from sales to ERP, pre-installed in Salesforce’s multi-tenant environment and ready to be configured to the customer’s needs. Just add the solution to your environment — and your users will get access to it right away. Every app undergoes a rigorous security check to get listed on the AppExchange marketplace. This ensures that customers get only trusted apps running on a high-availability cloud platform. Solutions with the highest level of integration — native Salesforce apps — go to the extent of hosting all your data within your Salesforce instance and using the familiar Salesforce tools like fields, dashboards, or workflow rules for customization. Each app installation applies to only one Salesforce instance. This means that you can run tests and train your employees to use the new functionality in a sandbox instance deployed separately from the production environment. Commercial apps distributed through the AppExchange marketplace are upgraded and enhanced by their developers. For businesses, there is no need to budget for technical debt or maintenance costs. The key concept of the AppExchange is an app. In Salesforce parlance, an app (short for application) is a set of components such as tabs, fields, objects, dashboards, reports, and Visualforce pages that address a specific business need. The AppExchange is a marketplace where ISVs distribute and Salesforce users browse, test drive, install, and review these apps. As an app distribution platform, the AppExchange introduces the concept of a package that bundles the solution, be it an individual component or a group of related apps, for distribution to Salesforce users and organizations. There are two types of AppExchange packages: unmanaged and managed packages. Unmanaged packages are used to distribute open-source solutions that, once installed, cannot be upgraded or otherwise refined over time by the developer who published it. The solutions released as managed packages are fully upgradable and are distributed together with licenses to them. On the marketplace, managed solutions are marked with a corresponding icon that also indicates the state of the solution: beta, a major release, or a patch release. The AppExchange serves personalized recommendations to Salesforce users based on their location, platform edition, previous installs, browsing activity, and search history. 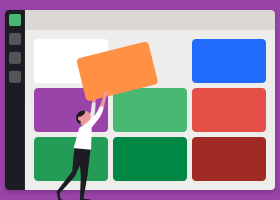 All listings are organized by product and industry collections, each sorted by featured apps and most popular solutions. Users can further filter the search results by pricing model, edition, average customer rating, or language. Solution type-specific filters help to sort out Salesforce native apps, managed solutions, Lightning ready components, or mobile-optimized experiences. The AppExchange ranks apps and components according to the statistics it gathers, including page views, the number of installs, and an average customer rating. Moreover, customers can leave extensive app reviews, helping other companies to make a perfect choice. Some apps offer a demo with read-only access to all app functionality before purchasing. Browsing the app in the demo mode helps businesses get a complete overview of its capabilities and plan the implementation accordingly. How many apps are in the Salesforce AppExchange? Salesforce launched the AppExchange in 2006, pioneering the entire on-demand cloud computing business model. Today the marketplace hosts more than 3,400 apps. 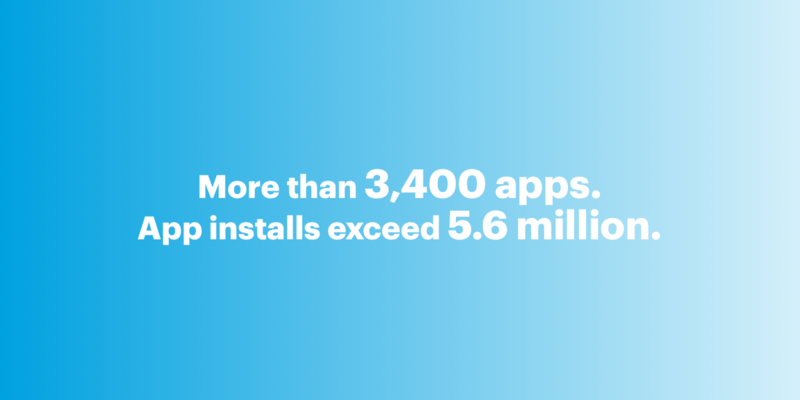 The total number of app installs has exceeded 5.6 million. That’s a bunch of opportunities for all sorts of businesses and business needs — and lots of possible AppExchange app combinations for optimal business results too. PandaDoc is a software for creating and sending powerful proposals right inside Salesforce. Companies with Salesforce enterprise, unlimited, or performance edition can prepopulate contracts, quotes, and sales proposals with customer data from their Salesforce CRM. Of all proposal automation solutions listed on the AppExchange, PandaDoc offers the all-in-one approach to close business deals faster with document building and templating tools, unlimited legally-binding eSignatures, and detailed document analytics. MailChimp for Salesforce is a free email marketing tool frequently hitting the lists of top 10 most popular apps on the AppExchange. Use MailChimp to target Salesforce leads and contracts with specialized email campaigns, upload MailChimp subscribers as Salesforce leads, and view MailChimp campaigns and activity right inside your CRM system. The app is Lightning Ready, which means it supports both Classical and Lightning experiences of the Salesforce platform. Agile Accelerator is a free Agile project management and collaboration toolset built by Salesforce developers in-house. Based on the project development expertise accumulated at Salesforce, Agile Accelerator offers rich functionality for organizing teams and managing sprints, backlogs, user stories, and more. With project data living in Salesforce objects, Agile Accelerator users can build ad-hoc reports and customize the tracking tools for specific needs. Another in-house development effort by Salesforce, Sales Analytics: Best Analytics App for Sales, provides sales representatives, managers, and operations with end-to-end sales intelligence and analytics capabilities. With Sales Analytics, customers get KPI measurement tools and dashboards automatically populated with Sales Cloud data starting at $75 per user per month. Alex is responsible for Product Management at PandaDoc. When he is not busy driving PandaDoc integrations forward, his time is spent traveling the globe, hiking or advising startups on biz dev and product management.